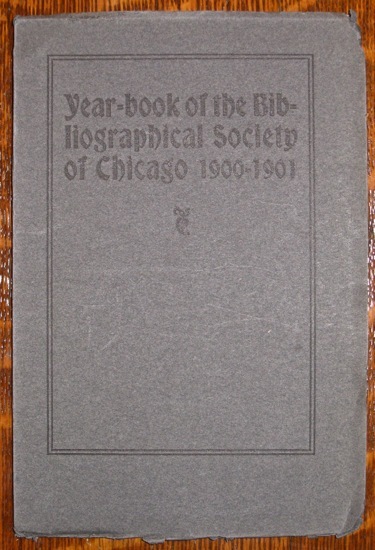 This book was not printed by the Blue Sky Press, but it contains an essay by Thomas Wood Stevens that reveals some interesting information regarding Frank B. Rae, Jr. and his time at the Roycroft Shops. Concerning the Roycrofters I can say little. Mr. Hubbard has said all he wants said about them and their work, and he surely ought to know. His cleverness is the greatest thing about East Aurora. He is an incarnate epigram. But about the books of the Roycrofters there is much to deplore. They mix things. 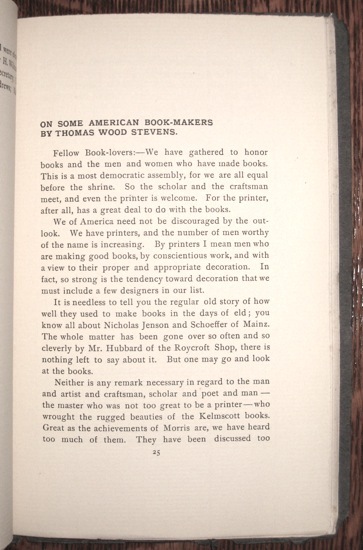 In fact, this year they appear among the letterers, a giddy illuminated Rubaiyat, lettered by Rae of Alwil Shop while he was drawing six dollars -- or it may have been five -- from the Bursar each week, being among the season's products. But the Roycroft Shop is a success, and that atones for many shortcomings. 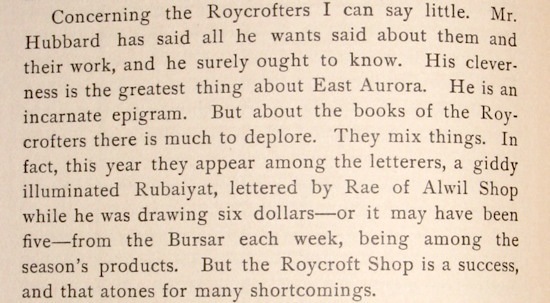 So, we now know that the 1900 Roycroft edition of the Rubaiyat of Omar Khayyam was lettered by Frank B. Rae, Jr.!